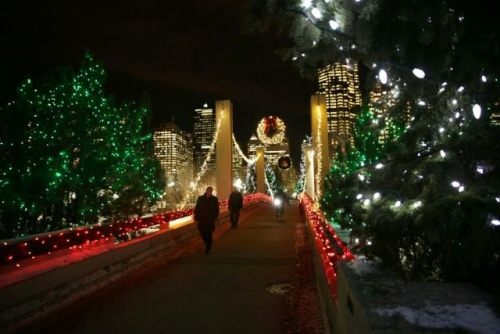 WestJet is selling off some last minute Christmas flights from Toronto to Calgary, for $389 CAD roundtrip including taxes. This is definitely unusual, and isn't something that has happened in previous years. You just don't ever see true last minute deals for Christmas dates. For comparison, Air Canada is twice the price. On Priceline, the price will show up as $115 USD. When booked with a Canadian credit card, it will work out to $161 CAD. toronto, yyz, westjet, flight deals, new york city, new york, united states, canada, lga, north america, calgary, alberta and yyc. 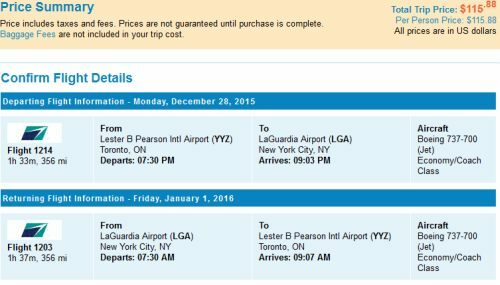 2 Responses to "Christmas and New Years flights from Toronto to Calgary - $389 CAD roundtrip including taxes | New York City for $161 CAD"
I was able to book 4 tickets, 23-28, thanks a lot for this alert. Merry Christmas and Happy Holidays.